JOSEPH H CLISSOLD have been designing and weaving the most luxurious Made in England cloth, since their establishment in 1910. The Spring/Summer 2017 collection has been created using yarns of the finest natural fibres to produce a range of luxury, top quality fabrics. 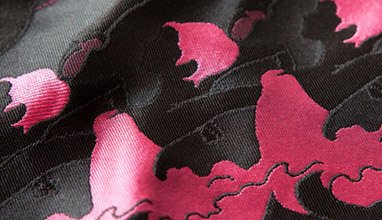 This well-known manufacturer has now also introduced a range of 100% cotton designs and is also using a wool/cotton blend. 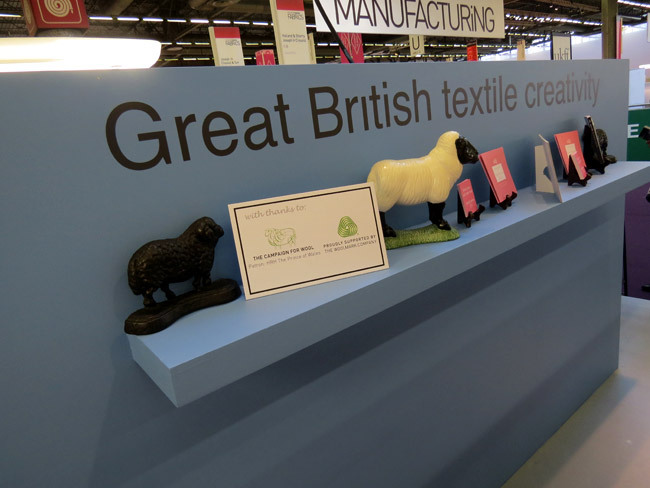 The company specialises in designing bespoke custom made fabrics with a minimum of 70mt per order, and also holds a stock supported range in 290g Superfine Merino wool with a minimum of 35mt per order. In addition Joseph H. Clissold has recently launched a new sample supported collection with sampling available from stock. In 1956 HEATHCOAT FABRICS patented their revolutionary 'Flare-Free' dress net. Sixty years later they still manufacture in the UK and sell the safest dress net, tulle and costume fabrics available on the market, renowned world-wide for their quality. 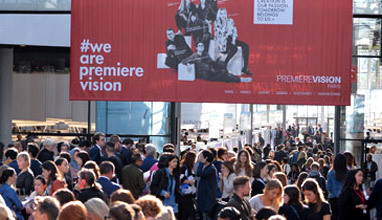 At this edition of Première Vision they are showcasing their trending Heathcoat 1808 Flare-Free® range. Phillip Wignall, Business Manager for 1808 fabrics invites you to come and see for yourself why 'not all dress nets are the same'. For over 125 years HENRY BERTRAND has been a world-renowned supplier of fine silks and luxury fabrics to couturiers and designers, as well as to the bridal sector, films, theatres and opera houses. States Managing Director Katy Bercovitch: 'Our fabrics are regularly seen on the catwalks of London, Paris, Milan, Moscow and New York. 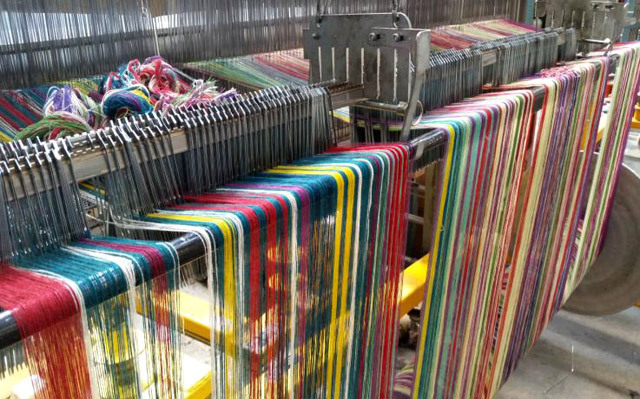 We are known for our creativity, flexibility and service, the latest trends, exciting designs, and bespoke weaving and dyeing from small quantities.' 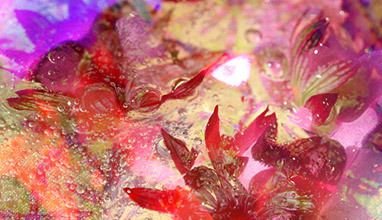 This season their collection offers coloured metallics, decoupés, semi-opaque cloqués, seersuckers, bouclés, florals, abstract Jacquards and textured semi-plains. HIELD BROTHERS was established in 1922 during the reign of His Majesty King George V of the United Kingdom, a year which saw the British Empire at its largest ever, covering one-quarter of the world's population. 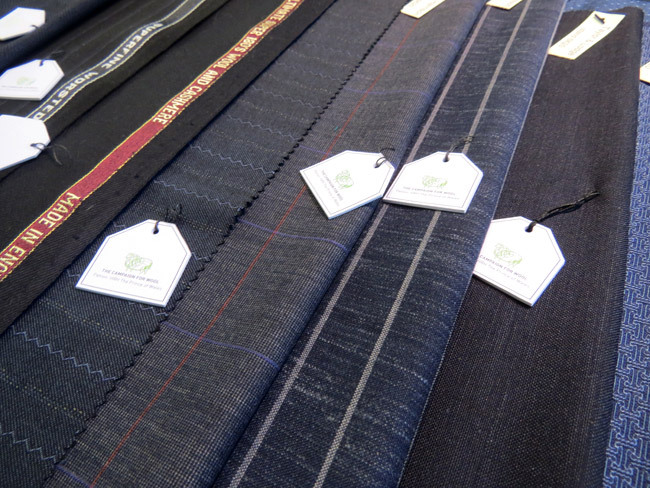 The company was founded by entrepreneurs David and Hugh Hield under the name Hield Brothers in West Yorkshire as a manufacturer of the finest quality English cloth. 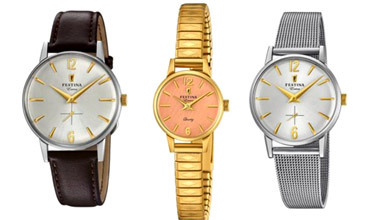 Based in Briggella Mills, the company has over its illustrious history gained a worldwide reputation and global standing as a symbol of perpetual British quality. 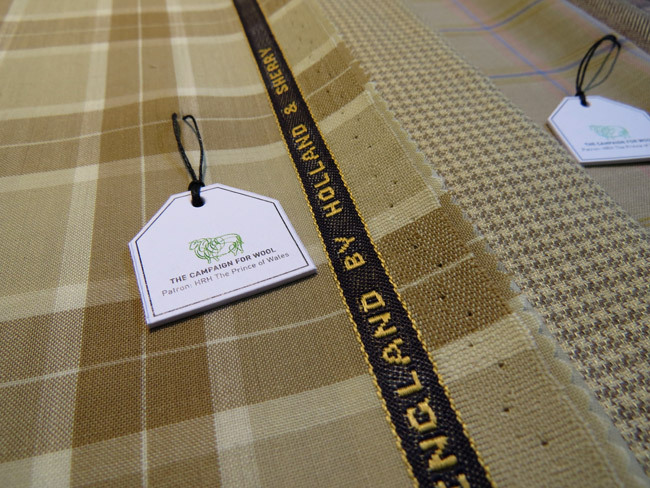 Hield Bros. has been at the very forefront of British textile manufacturing since its inception and has twice been awarded the prestigious Queen's Award for Export. 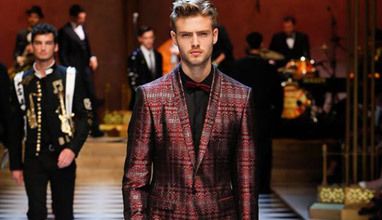 HOLLAND & SHERRY is one of the most prestigious cloth weavers in the world. For 180 years Holland & Sherry has played a leading role in supplying luxury cloths to the top end market, designers and bespoke tailors. A tailored garment in luxury Holland & Sherry Fabric is truly an investment, a statement of individualism and a pleasure to wear. 'Our new collection for Spring/Summer 2017 combines vibrant colours and patterns, sophisticated delicate stripes and checks in luxury wools and other natural fibres that can be used in a multitude of ways for an individual creation' states Commercial Director Richard Chambers. The JOSHUA ELLIS Spring/Summer 2017 collection focuses on a mix of classic and textured lightweight jacketings. All have a cool luxurious handle generated from weaving the best quality natural yarns, and finished to the highest standard. 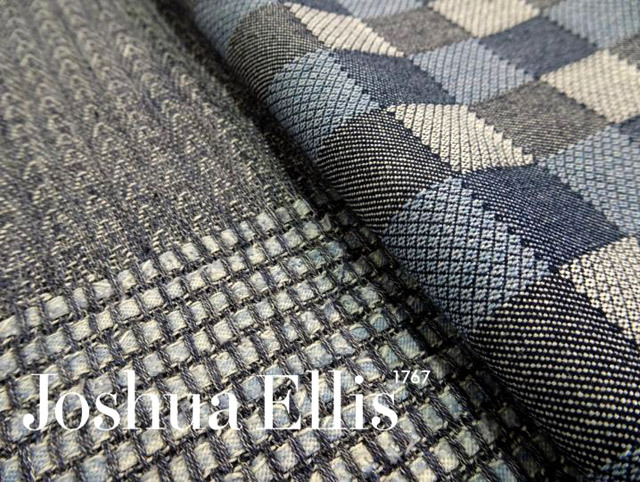 Reflecting current trends Joshua Ellis has targeted both men's and women's fashion houses with a range of fabrics which includes: 100% cotton and cotton blends, 100% silk, wool/silk/linen blended with cashmere and 100% cashmere in fancy dobby weaves, checker board and classic menswear patterns. 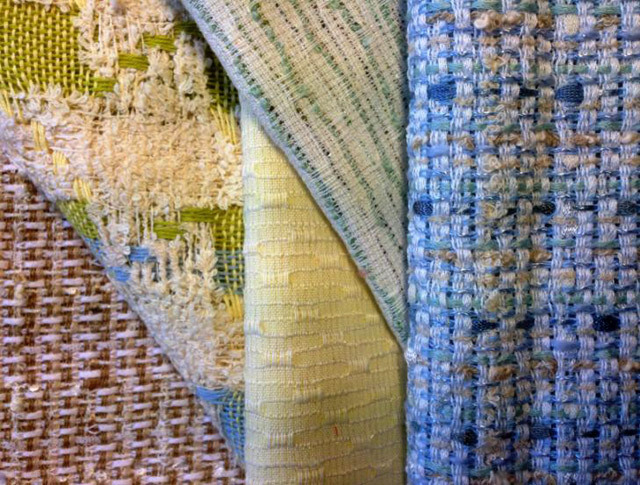 KIRSTY McDOUGALL WOVEN TEXTILE DESIGN is exhibiting within the Maison d'Exceptions section of Première Vision for the first time this year. 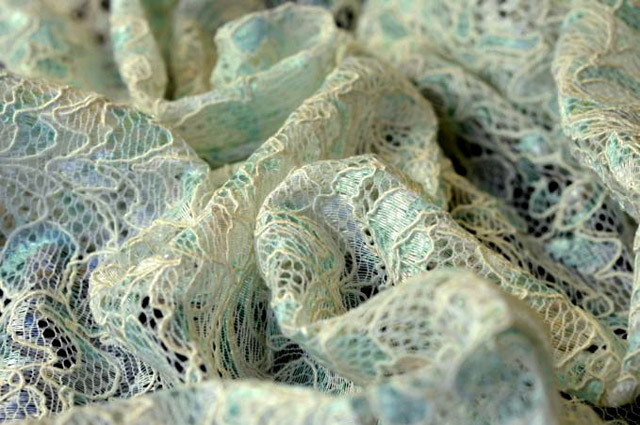 With over ten years' experience working in the woven textile industry for a broad range of international clients, it is time to showcase the unique work produced by the studio to a wider audience. 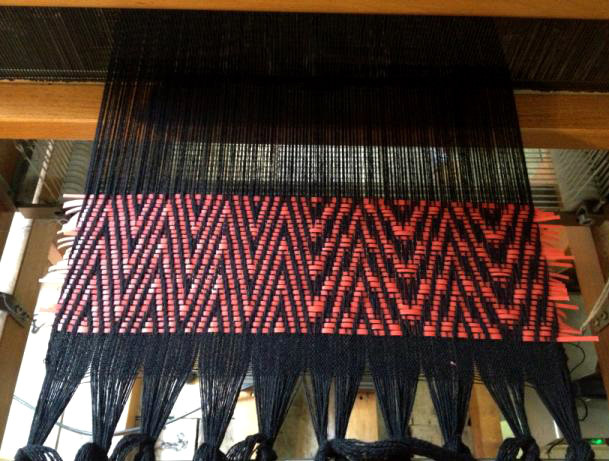 The studio specializes in textile consultancy and development alongside creative handwoven lengths for varied applications including catwalk and interior. The KYNOCH Spring/Summer 2017 collection has been created using yarns of the finest natural fibres to produce a range of luxury, top quality jacketing fabrics. 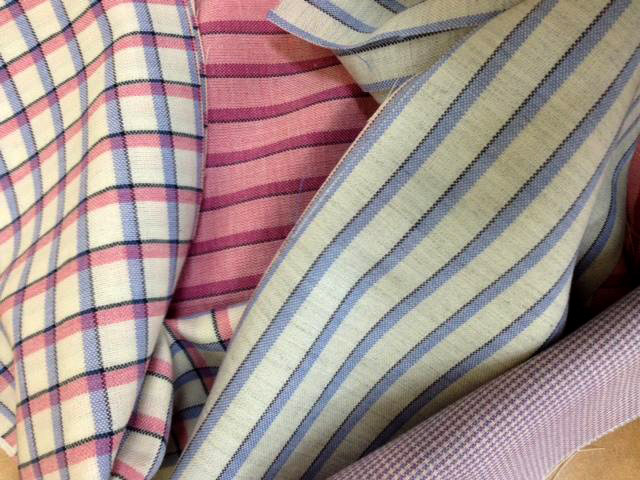 The qualities vary from fine silk/linen/cotton blends through to wool/cotton/cashmere twists in traditional windowpane and colourful check designs. 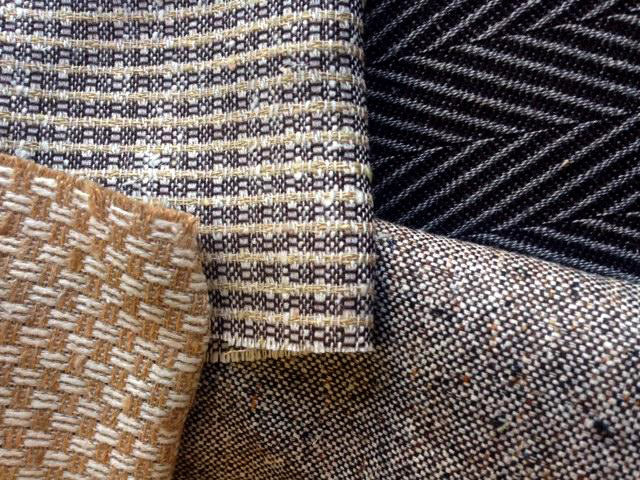 A range of fancy, textured tweeds in slubby silk/linen and cotton in a semi-plain structured weave adds a new dimension to the collection. 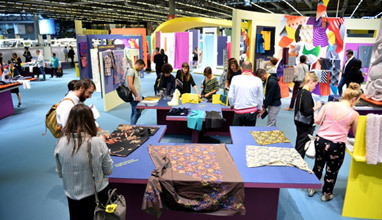 This year LITMANS FABRICS celebrate 70 years of trading in the textile industry, with their most exciting collection to date. In the range there are beautiful new crêpe and Marocain fabrics, textured stretch leatherette, multi-tonal laces, eyelash laces, floral laces together with an innovative new transparent tulle. 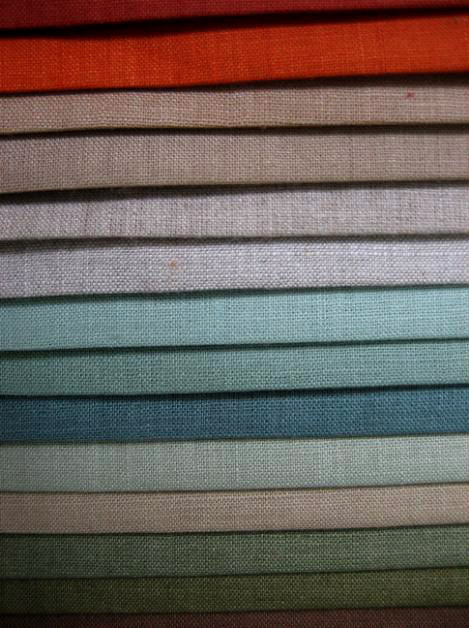 Stretch velour and plain Missoni knits are also available from Litmans Fabrics, alongside many other brand new fabrics. 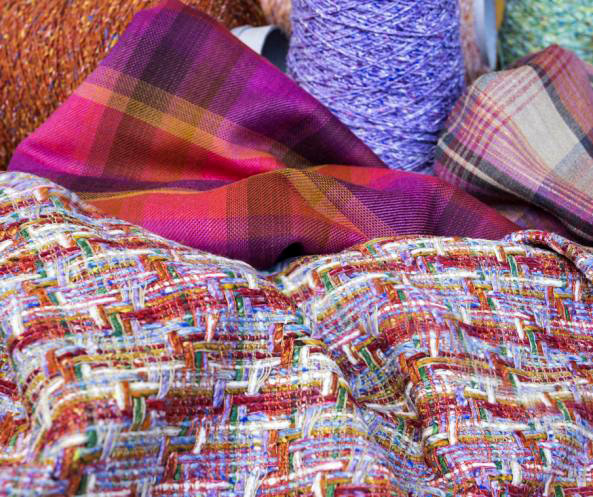 LOCHCARRON'S Spring/Summer 2017 collection shows an impressively rich diversity of colour and texture, incorporating super lightweights in graphic plaids and nostalgic checks, complemented by light and lofty textured houndstooths and colourful semi-plains. A playful palette of warm rose, vibrant oranges and foxglove is contrasted with Prussian blues, verdant greens and calm sky blues. Classic camels, calm greys, French navy tones and textured black used in combination with ecru brings a pared back neutrality to balance the more colourful aspects. ABRAHAM MOON & SONS is a family-owned company established in 1837. 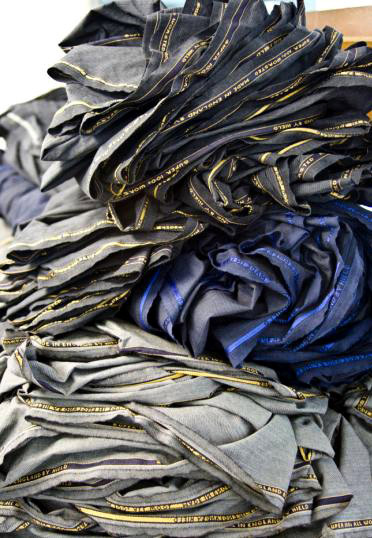 For 175 years their ranges have continued to offer the assurance of luxurious quality and a unique understanding of the ever-changing needs in the clothing industry. 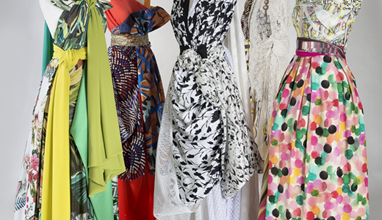 The traditional fabrics combined with innovative and modern use of colour and design have helped them to continue to serve leading fashion labels, designers and retail customers across the world. 'For Spring/Summer 2017 we have introduced a luxurious wool/cotton and cashmere blend Summer tweed jacketing in 280 gms, together with an extensive colour range in pure wool Leno weave. These are supplemented by our ongoing stock supported ranges of wool/linens and wool/cotton blazer stripes' states Design Director, Martin Aveyard. 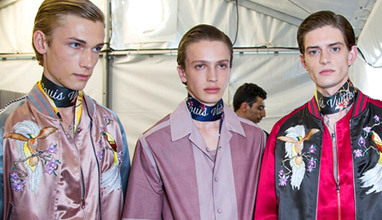 For the new season NEILL JOHNSTONE is showing a collection of fun textures and colours. Distorted weave effects, horizontal stripes and classic plain weave make a diverse range of looks. Alongside classic colourings and summer pastels there are retro shades mixed with ecru/soft beige and eye catching brights. 'We wanted to create fabrics with a dry handle as well as those with a shiny aspect and combine the two in our all-over designs' says designer Lilian Allan. 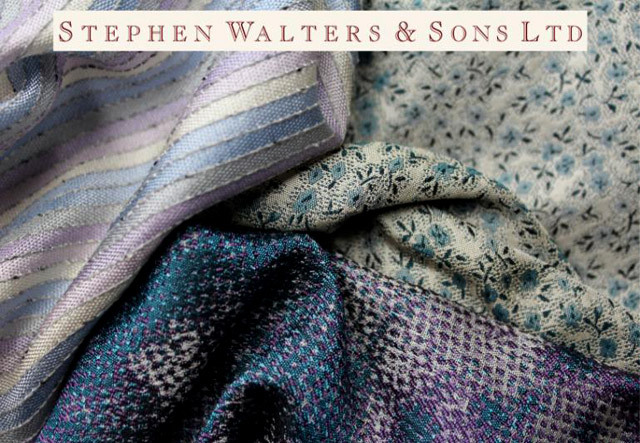 STEPHEN WALTERS AND SONS have been weaving the finest jacquard fabrics since 1720. Today the company specializes in weaving bespoke fabrics in natural fibres including silk, cashmere, lambswool, mohair, linen and cotton. Some of the highlights of their Spring / Summer 2017 womenswear collection are beautiful poetic florals and natural muted colour pallets with a soft fluid hand. The menswear collection continues to be inspired by British classics with a twist, introducing new weights and finishes. 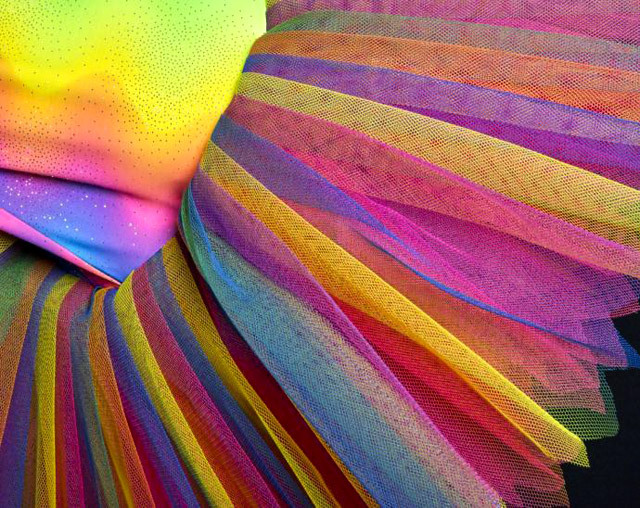 STUDIO ANDREEA MANDRESCU LTD is a design company based in London that specializes in textile, material and surface design with various applications. 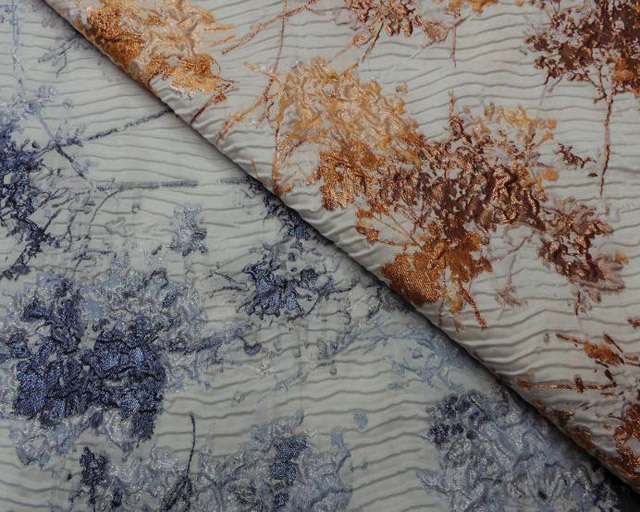 The textile collections are an exploration of different materials that include faux fur, rubbers, leather and veneers on a variety of base fabrics. 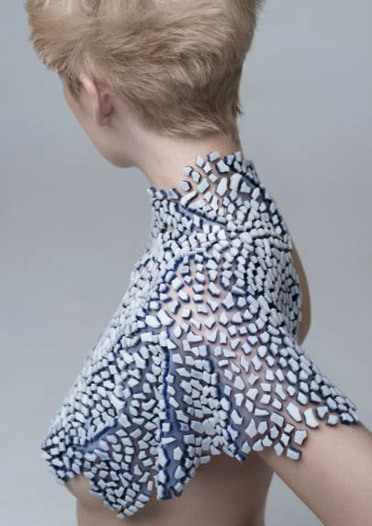 The fabrics are versatile, made to fit pattern garments for fashion design but can also be wrapped around the body as accessories. 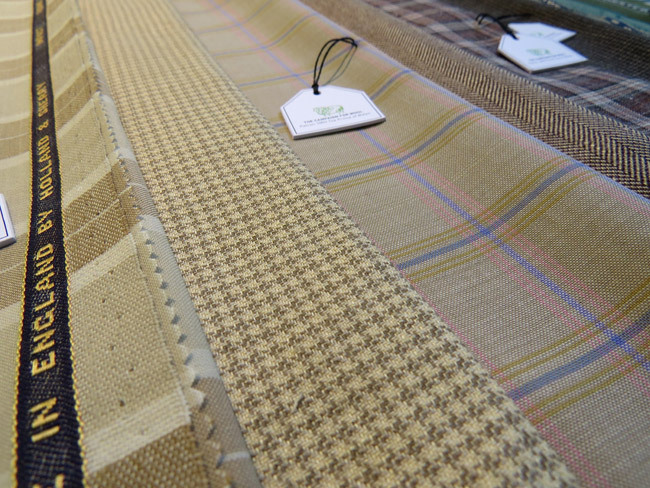 The studio also produces a similar range of fabrics for soft furnishings & upholstery. 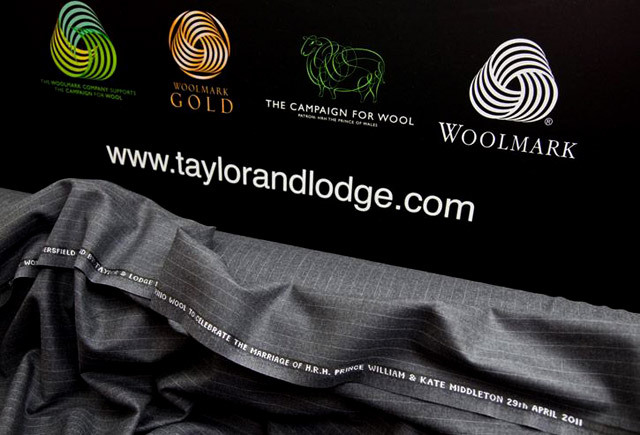 Established in England in 1883, TAYLOR AND LODGE is world famous for manufacturing the finest, most luxurious high end worsted fabrics. 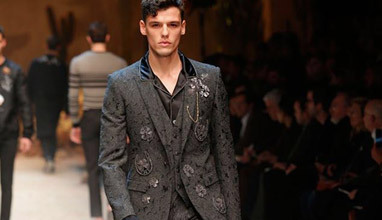 The company has supplied cloth to the British Royal Family and currently supplies to leading fashion houses & designer brands including Givenchy, Lanvin, Dior, Louis Vuitton, Hermes, Gucci, Dolce & Gabbana and Armani. 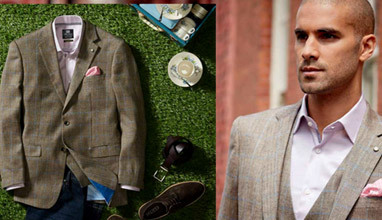 Qualities include finest micron wools, including super 180s & super 200s, 100% cashmeres and wool blends including using vicuna, silk, and summer kid mohair and the exclusive Lumb's Golden Bale in formal suiting, jacket and coating qualities. New for Spring/Summer 2017 are some exclusive wool/silk/linen jacketing qualities, a Super 160's all-wool suiting range and a wool/linen/mohair quality. ULSTER WEAVERS/SPENCE BRYSON LINENS offer stock supported ranges of 100% linen fabrics ranging from the very finest sheers to the most luxurious linen suitings. There are over 500 stock supported items stocked in 50m pieces. 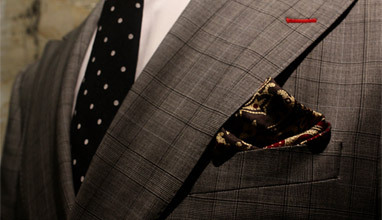 The ranges are designed for sartorial elegance and sophisticated tailoring. 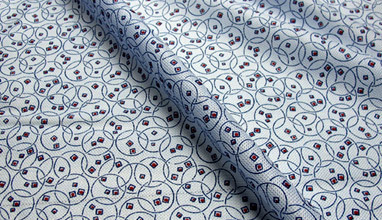 States Jonathan McAllister, Commercial Director: 'Spence Bryson Linens are constructed from the world's finest yarns. 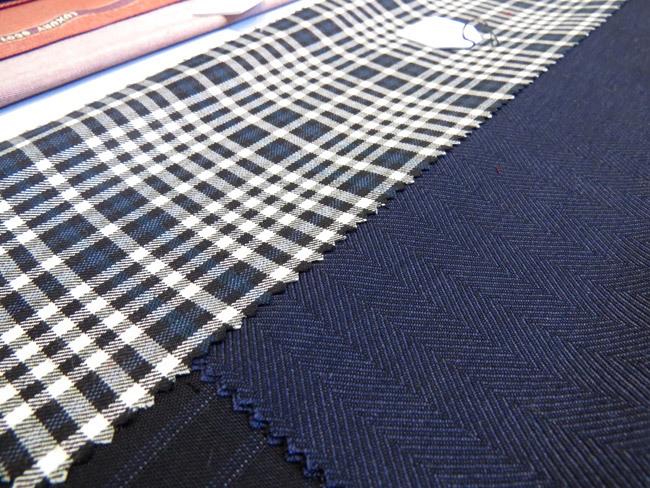 Our fabrics embody both a timeless quality and underpinning elegance that translate into sheer luxury for men's and women's tailoring'.